Happy Birthday to our beautiful girl who just turned nineteen years old on the Fourth of July. 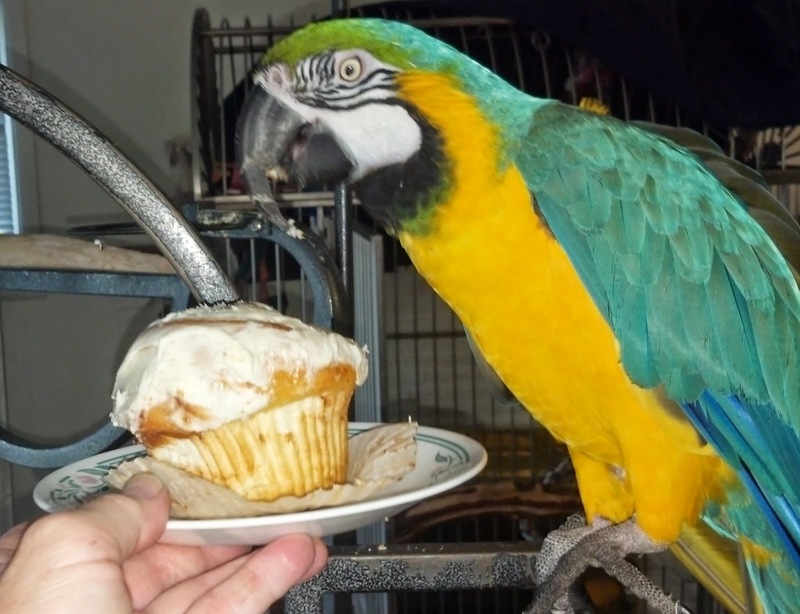 Miss Bubba Boy is a confirmed female Blue and Gold macaw parrot who we rescued from a parrot breeder when she was seven years old. 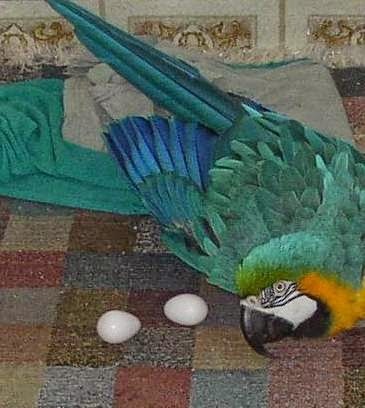 Of our nine parrots, Bubba is the only one for which we know the actual hatch date. Bubba was bound for a cold drafty breeding barn when we rescued her. Her previous owners were convinced Bubba was a boy, so they named her after one of Country and Western star Mark Chesnutt's songs popular in the mid-nineties, Bubba Shot the Jukebox. So we take Bubba to the vet and pay $50 for a DNA test. Sure enough Bubba is a girl. And if the DNA test wasn't convincing, about a month later Bubba laid four eggs. That settled that! Over the past twelve years Miss Bubba Boy has become a confident and self-assured girl and quickly cemented her position as the Alpha Parrot of our flock. Happy Birthday Bubba!